The Chicago Blackhawks will host an NHL Winter Classic Fan Fest at Millennium Park from Dec. 29 to 31. Autograph sessions, live music, giveaways, food and more will greet fans as they enter the three-day NHL Winter Classic Festival this month. The event, which begins Dec. 29 and continues through the New Year’s Eve, will tak place at the Jay Pritzker Pavilion in Millennium Park. The festival includes autograph sessions with former Blackhawks and Boston Bruins greats, hockey interactives, giveaways, food, live music and even an appearance by the Stanley Cup. The festival is free and open to the public from 11 a.m. to 5 p.m. A schedule of events has not yet been released, however. 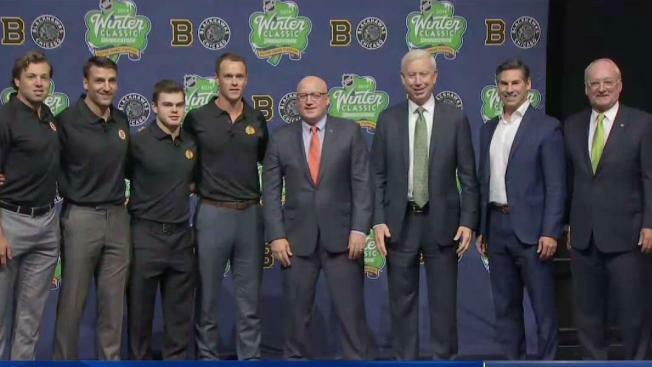 The Blackhawks are set to take on the Bruins in the outdoor game at Notre Dame Stadium New Year’s Day.